"Gumboot Soup" is one of five studio albums planned to be released in 2018. Photo courtesy of Pitchfork. When King Gizzard & the Lizard Wizard announced that their 2017 New Year’s resolution was to release five new albums within the year, many of their fans doubted them and had low expectations of the band actually fulfilling their promise. 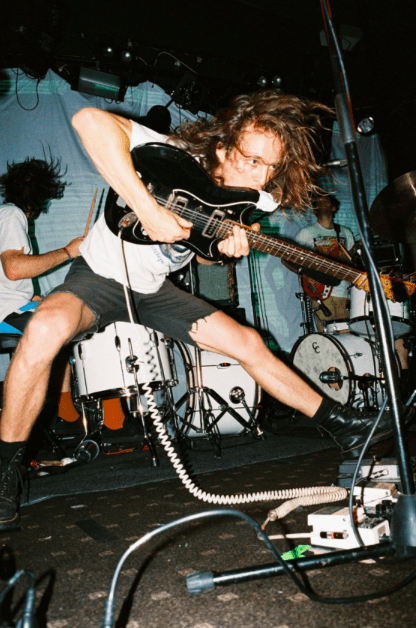 Forming in Melbourne, Victoria in 2010, King Gizzard & the Lizard Wizard is an Australian psychedelic rock band. To some, being an avid listener of King Gizzard’s material might be a full-time job. After all, the band has experimented with so many different music genres over the years, it can sometimes be difficult to keep up. 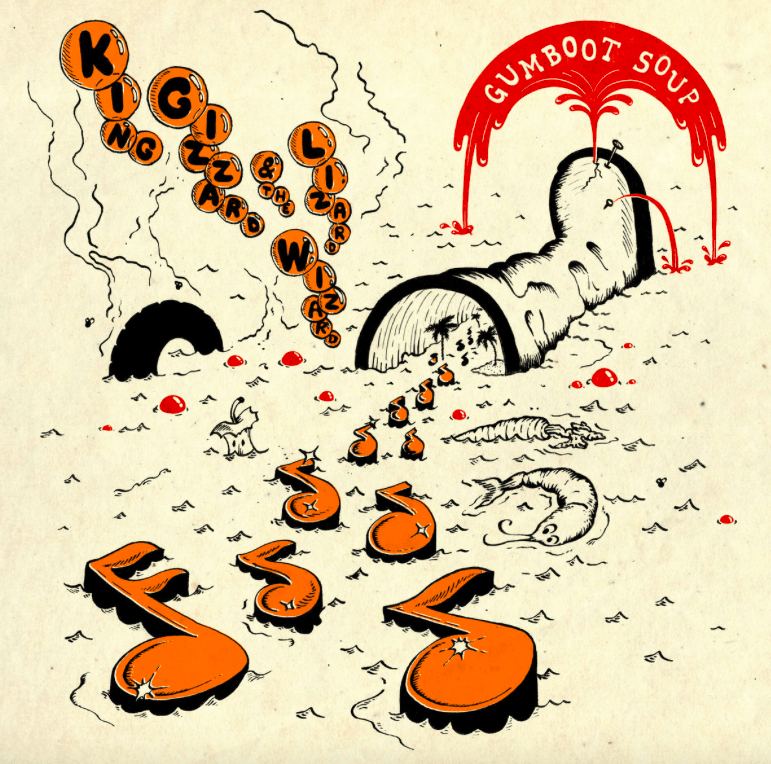 In “Gumboot Soup,” King Gizzard seemed to venture into new directions of songwriting. But the record is nowhere near the stereotypical wall of sound nonsense that one might hear on a Flaming Lips album. King Gizzard pushes new sonic territories in this album, displaying colorful melodies and flute solo interludes. This creates an album of adventurous tones and theatrical themes. Frontman Stu Mackenzie lends metal-style vocals to the album’s sound. Photo courtesy of Facebook. In other words, it’s a record that feels sober from psychedelic drugs and does not consist of unnecessary five-minute interludes of droning noise. Songs like “Barefoot Dessert” capture these moments perfectly as weird, ever-changing time signatures. The song “Beginner’s Luck” opens this album with catchy R&B-inspired drum beats, as well as a fairytale-styled flute solo introduced at the end. The song “Greenhouse Heat Death,” which is arguably about global warming from the Earth’s perspective, seeks retribution on the people that are responsible. Heavy metal elements are definitely prominent in this song, as frontman Stu Mackenzie’s voice sounds raspy and discontent. As a result, this song sounds much bigger than it is, which is something that only a seven-piece band would be able to accomplish. But by the time you reach the halfway point of the album, the layout begins to get a bit chaotic when each song jumps from sub-genre to sub-genre. At times, I had to remind myself that this was still just one album. Songs like “Barefoot Dessert” capture these moments perfectly as weird ever-changing time signatures, and a precise studio performance by drummers Michael Cavanagh and Eric Moore during the making of the record and in live setting enhance its sound. Perhaps, if King Gizzard wasn’t in such a rush for time to finish the album, it could’ve sounded complete. But I believe it was still an impressive and entertaining collection of music to end their five-album saga.